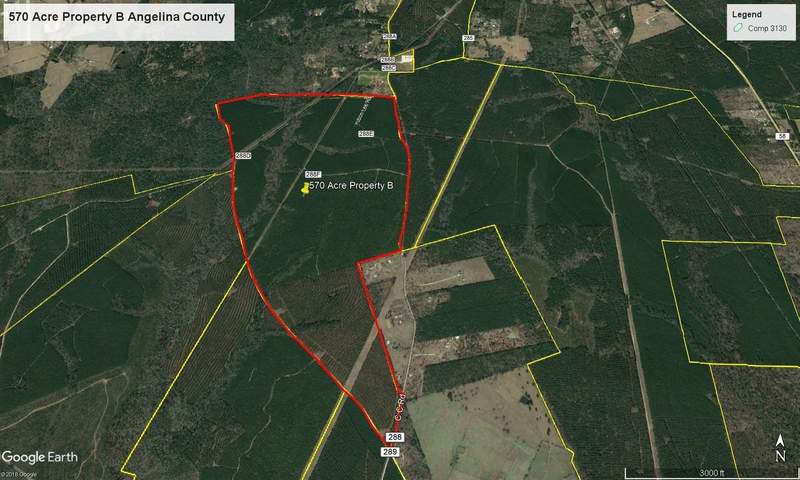 Approximately 570 Acre +/- pine plantation timberland conveniently located just a few miles outside of city limits with lots of frontage to FM 819/CC Road. This would be a great investment, hunting and place to build your home. Seller will reserve road access easement along northern and western boundary lines. Showing by appointment only. Schedule your private tour today. Final acreage will be determined by new metes and bounds survey. At the intersection of HWY 59 and College Drive, travel south on College Drive/FM 819 for approximately 4.9 miles to property on your right. Look for IronGate Land Company For Sale sign. Request your private showing today! Fill out this form and we will be in touch shortly to schedule your private showing of the property. © IronGate Land Company, LLC 2018. All rights reserved.